The mission of myFocus is to inspire, coach and motivate people to achieve their career goals. 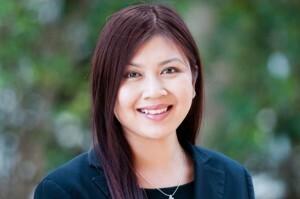 myFocus is owned by Leonie Lam. Leonie is a qualified Trainer and Coach. Leonie holds a Master of Commerce in Human Resources and a Bachelor of Arts majoring in Psychology. She also holds a Certificate IV in Training and Assessment and in Small Business Management. She has previously held HR positions in companies such as Westpac, Thomson Reuters and Veolia Water. As a Career Coach, she has helped more than 100 people secure employment in Australia. Close to 100% of her clients have been successful in their job interviews as a result of attending the interview coaching programs. As a Trainer, she is passionate about delivering training to organisations to help individuals and organisations maximise their performance and achieve their strategic objectives. She offers training such as Communication skills, Time Management skills, Customer Service Excellence and Management. She consistently receives outstanding feedback in her training programs. Leonie’s personal belief is that in order to succeed in whatever you want to achieve, you must give it a go. If you don’t try, you will never know whether or not you can do it. She is someone who you can count on for exceptional HR or career advice.